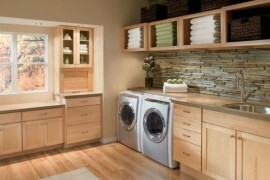 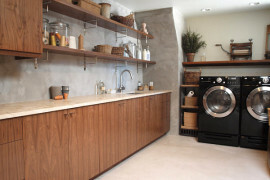 Many homeowners complain about how small kitchen spaces are inconvenient to work with and leave little room for additional features and storage units. 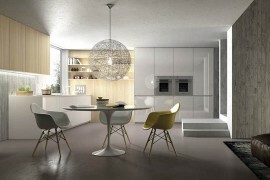 But the creative folk at Minosa Design do not seem to think so. 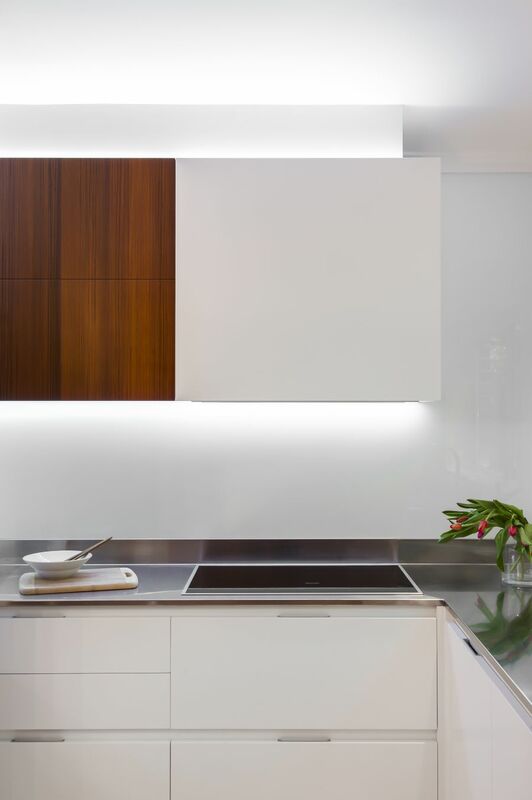 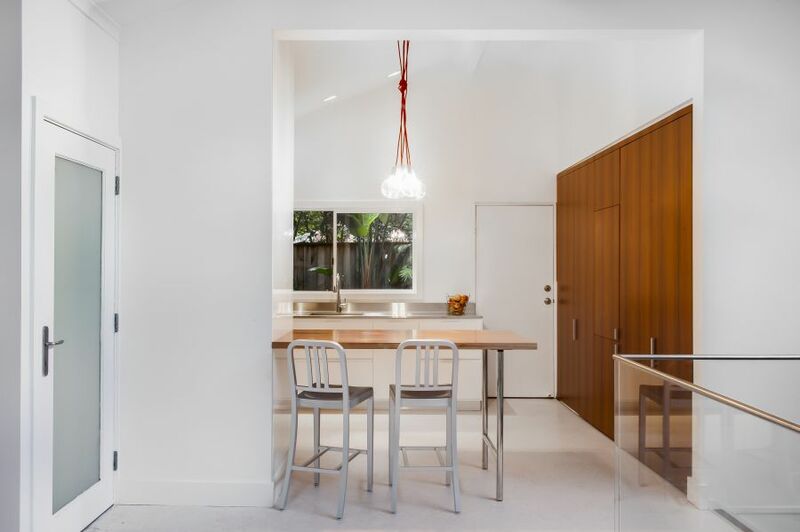 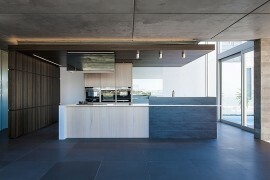 Combining a variety of smart space-conscious features, they have turned this compact kitchen in the suburb of Epping, Sydney into an ergonomic, exquisite modern space. 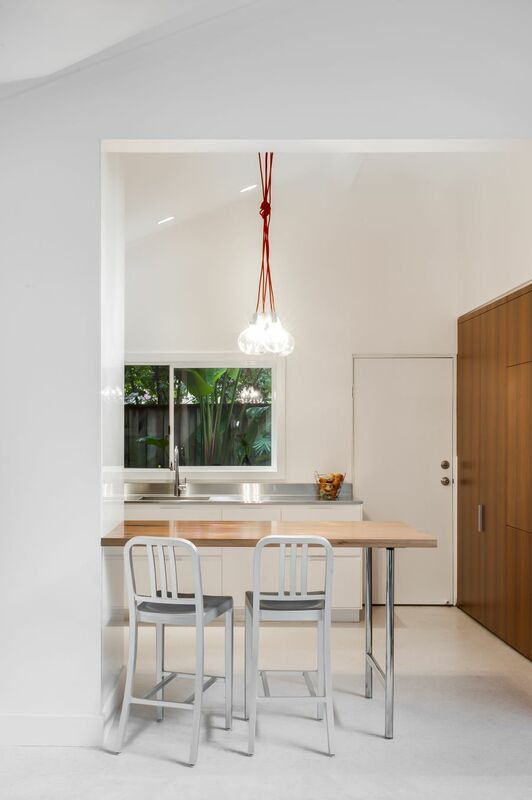 Not only does the renovation give the ’70s kitchen a sparkling new lease on life, it also equips the space with a concealed home office and a hidden laundry. 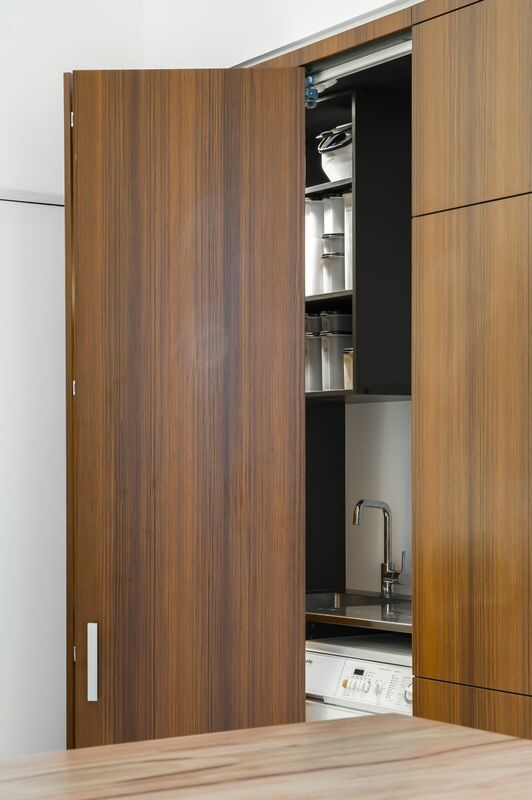 Now if that’s not using available space to the hilt, we don’t know what is! 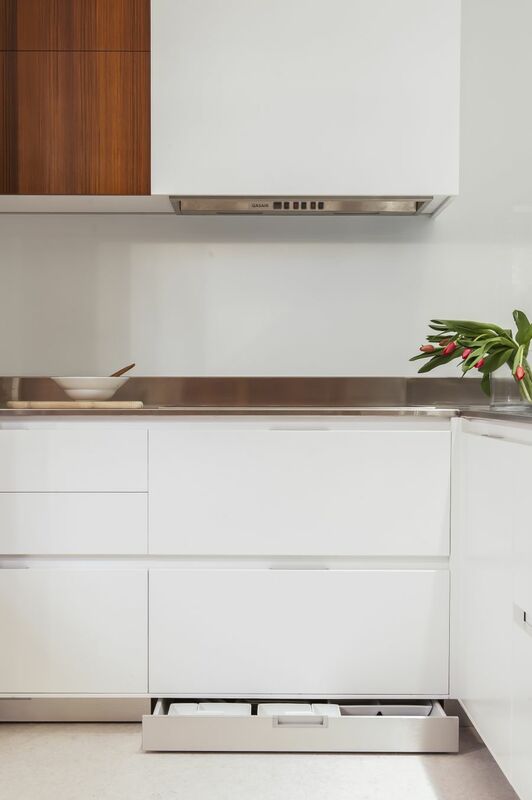 Maximizing the available space in this compact setting, the designers needed to deliver a savvy kitchen with a fresh, clean look. 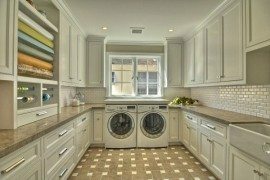 With the client asking for an integrated laundry and home office area, the obvious challenge was to eke out every possible inch of storage space, without making the kitchen look visually cramped. 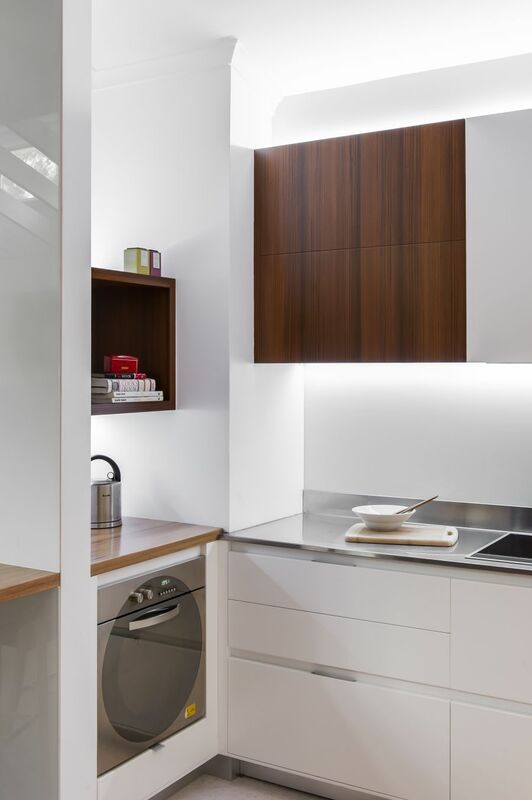 The use of pristine white for the shelves and walls accomplished this goal, while rich reddish timber veneer surfaces offered the perfect visual contrast. 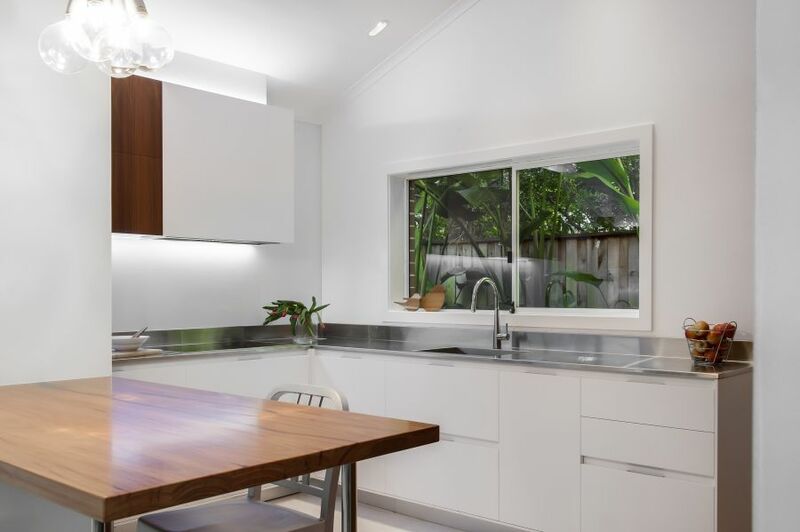 Sleek and shiny stainless steel countertops not only add to the contemporary appeal of the kitchen, they also give it a more airy appeal by acting as a lovely reflective surface that spreads the ambient light. 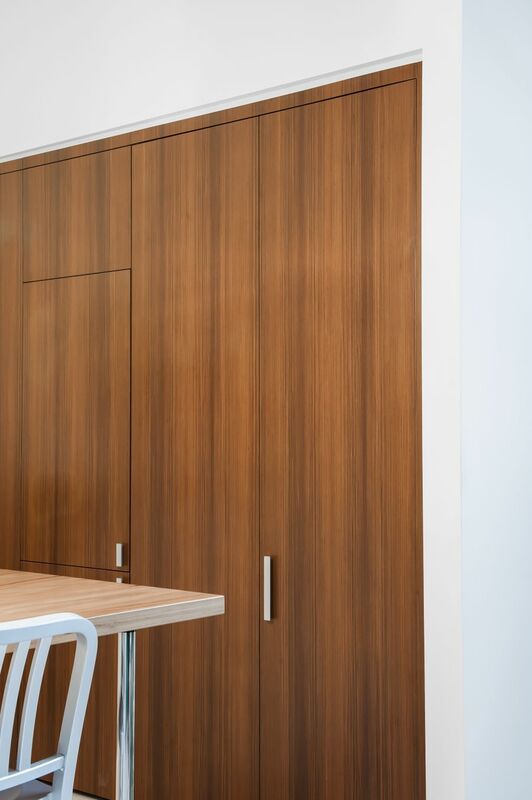 Full-height wooden bi-folding doors hide away the tiny laundry, the small home office area and the refrigerator, and the previous fridge cavity is used to tuck away appliances such as the oven and the microwave. 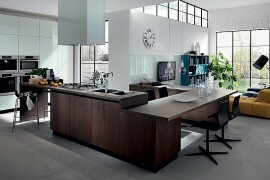 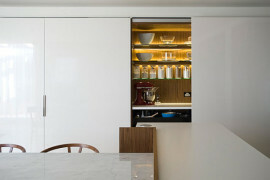 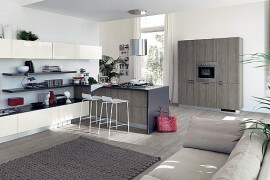 A multi-layered lighting system plays a pivotal role in giving this small kitchen a spacious vibe. 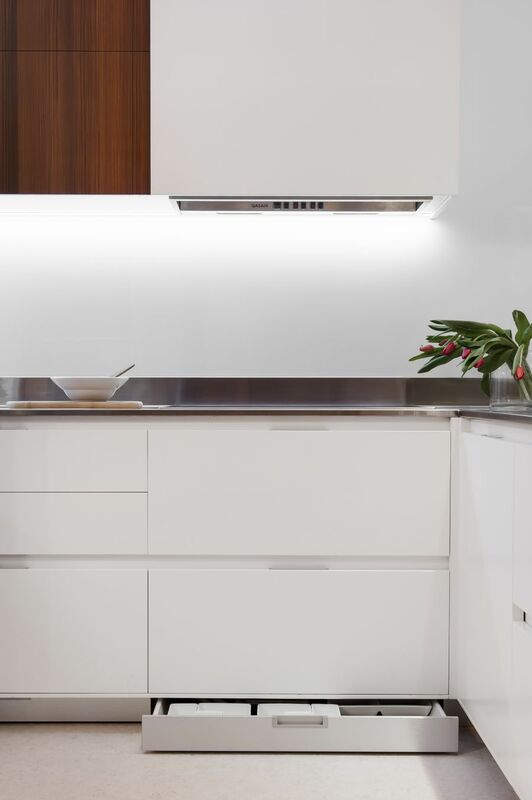 Energy-conscious LED lighting is coupled with task lighting to ensure that the home owner can alter the lighting scheme depending on the task at hand. 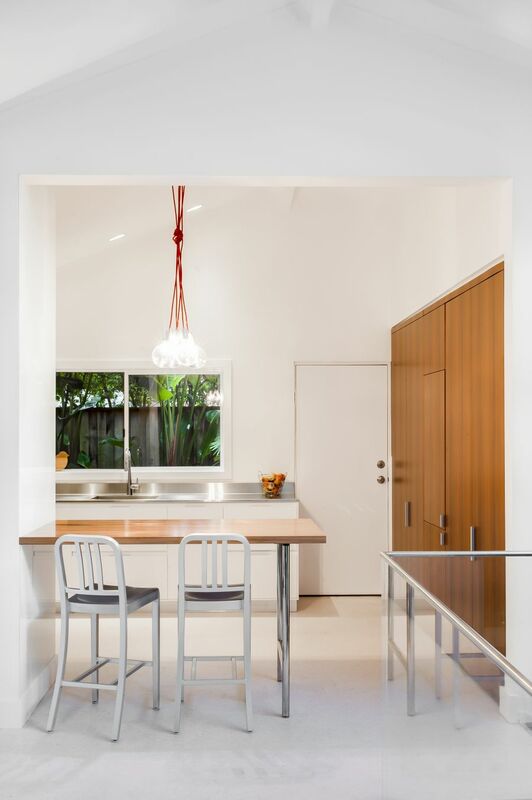 A small breakfast bench and stylish shelves complete this fabulous modern makeover. 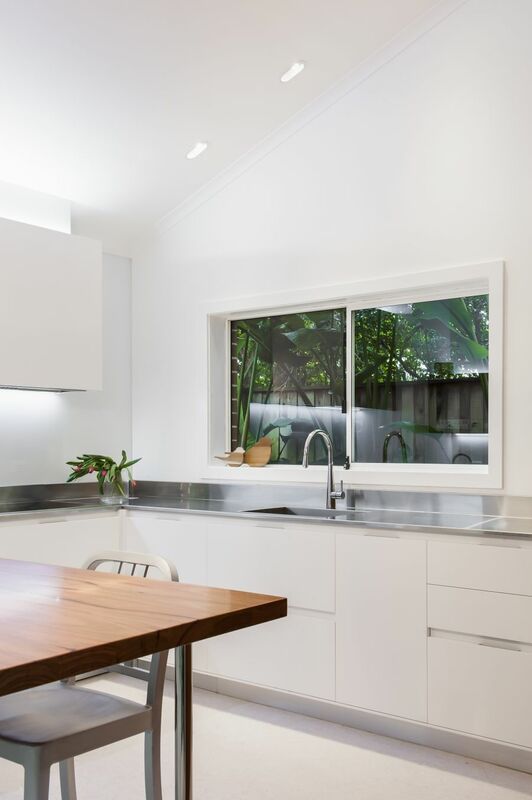 Just as they illustrated with the design of the inimitable hidden kitchen, Minosa Design has once again shown us how to get the most out of a small kitchen.